Fixed candles and good vibes have been used for centuries in witches dens, homes, and foreign lands alike. Now you can harness the power of the light, the earth, and YOU by lighting one of our 7 day “High Jane the Conquerer” fixed candles. 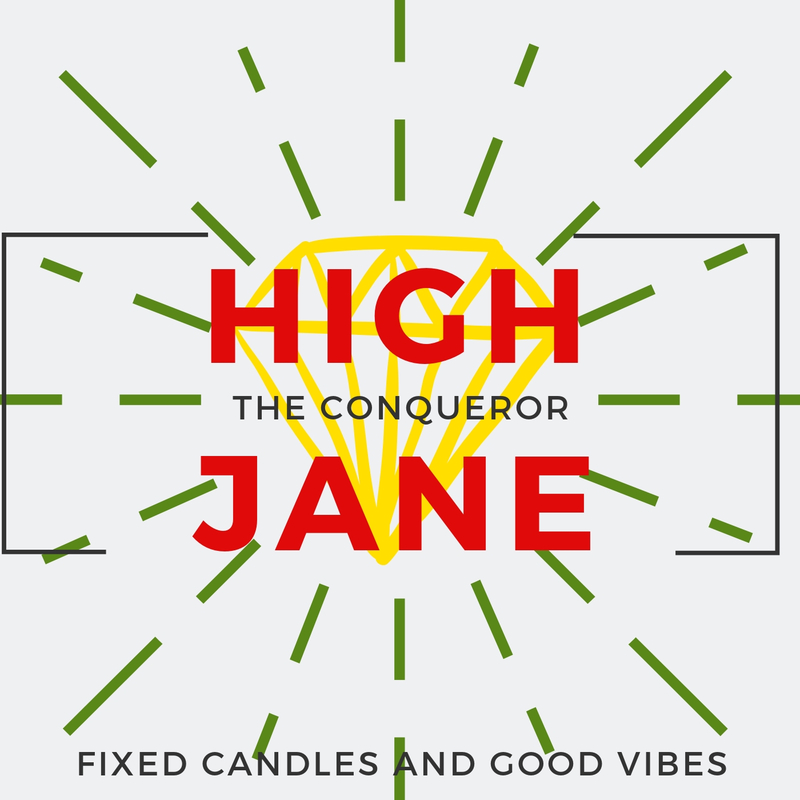 Inspired by High John the Conquerer but blessed by Cleopatra and the Crown of Success this anointed candle was made to be one of the most powerful tools you can use to renew, block bust, and make a you a magnet for the power you need for your dreams to come true. 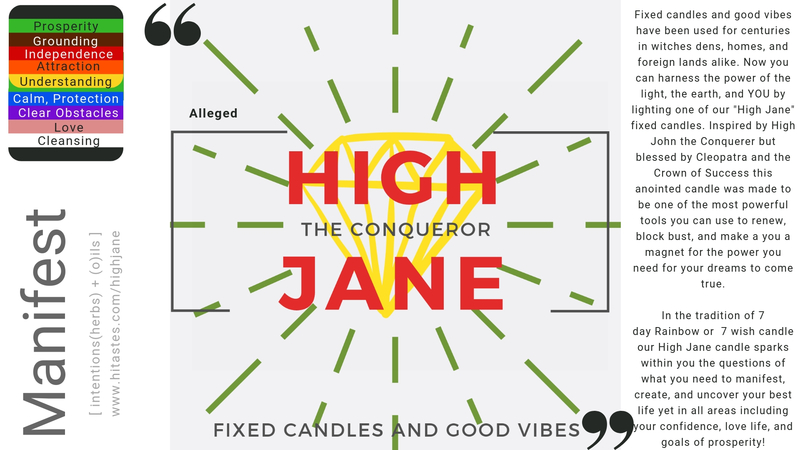 In the tradition of 7 day Rainbow or 7 wish candle our High Jane candle sparks within you the questions of what you need to manifest, create, and uncover your best life yet in all areas including your confidence, love life, and goals of prosperity!